Wow! What a 2017. Xbox One X confirmed that the future of gaming for Microsoft and Sony is up in the air with nowhere else to go but upgraded graphics and processing. Nintendo Switch arrived and reminded us why Nintendo is Nintendo, innovation for gamers by gamers. On to my top 5! One of Nintendo’s first multiplayer-based games didn’t come without its hiccups. Nintendo’s odd approach to their online system had fans confused and deterred (please don’t make me download that app ever again). 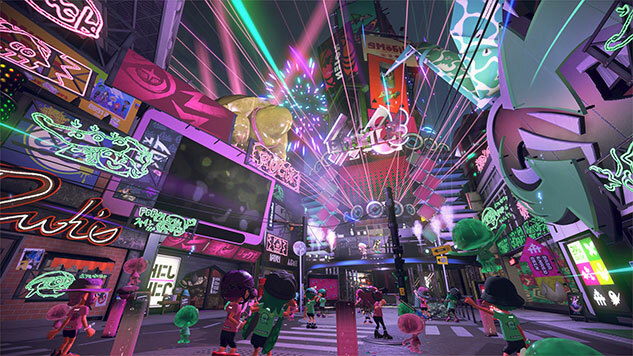 But those problems aside, Splatoon 2 was exactly as advertised bringing back everyone’s favorites while adding just enough to make a splash. Brandon put it best, “Nintendo hard.” It’s been a long time since any game has been as challenging as Cuphead and that’s actually a great thing. The change of pace and difficulty makes you want to stay around and endure the pain for some odd reason that most gamers will be able to relate to. This was on my watchlist since I first gave it a go at E3 2015 and even 2 years later, it did not disappoint. 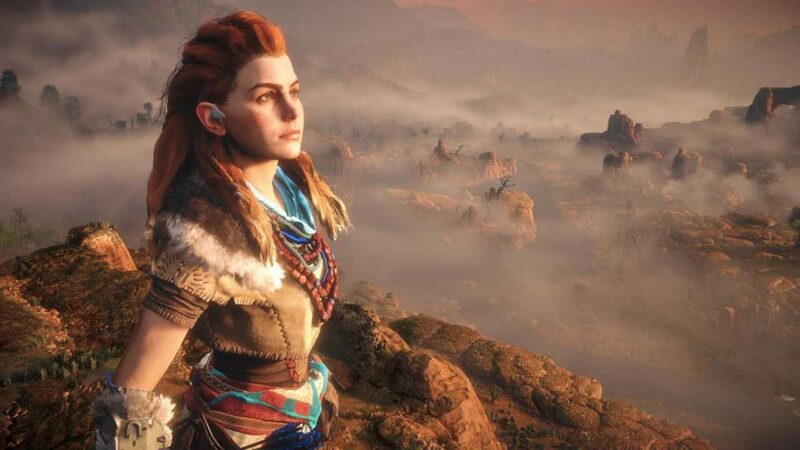 There aren’t too many games that will make people want to skip out on ACTUAL real life events, but ask Alex and he’ll tell you that Horizon: Zero Dawn is one of them. Not only was this game awesome to play, it has to be one of the most beautiful games I’ve ever gotten my hands on. There were moments that I had to stop playing to just enjoy the scenery. This is a must-have if you have a PS4. Nothing else to say. 3D Mario is back and he’s portable! 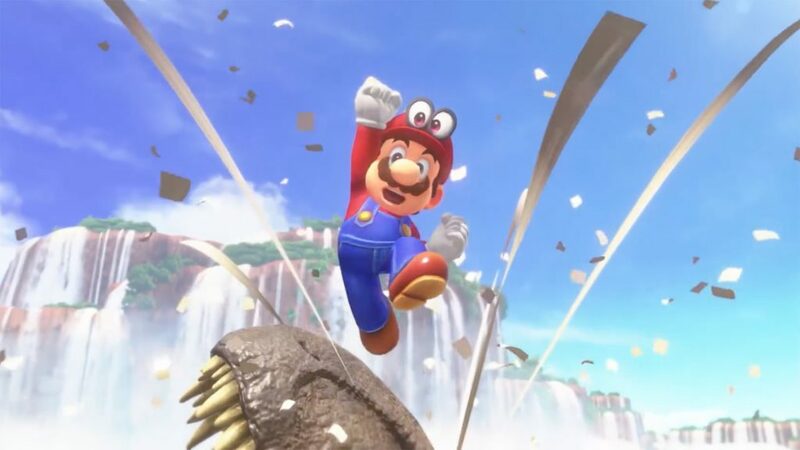 After much anticipation, Mario made his return to the video game world and has been a large part of why the Nintendo Switch continues to do well. One takeaway from several Nintendo interviews throughout the year was how they like to pick some sort of mechanic and base the game around it (F.L.U.D.D. and this time around, Cappy) and it really stuck with me. Super Mario Odyssey is a culmination of everything that makes Nintendo great. The late great Satoru Iwata would be proud. Where to even start with The Legend of Zelda: Breath of the Wild? When the Nintendo Switch was first announced, everyone wanted their favorite Nintendo franchise to be featured: Mario, Zelda, Samus (PLEASE), Olimar, Star Fox, etc. While we’ve gotten a few, Zelda and Link were given the honor of launching the Switch. Many were skeptical about the Switch from the get-go and with almost no other launch title to be excited for, this title alone had to hold down the Switch for months. And it did. Although a more realistic looking Zelda title would be amazing, I still enjoyed the more cartoony, yet beautiful, look. 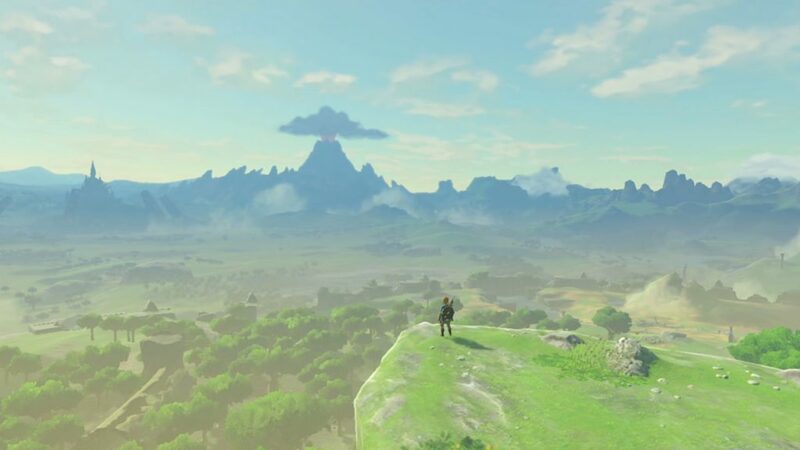 Not only did it breathe life into the Nintendo Switch but it brought me back to why I enjoy gaming. Being transported to a world outside our own. Being able to solve things by any means. The little details on how everything in the world interacts is something most developers don’t even bother with. All of these things are why The Legend of Zelda: Breath of the Wild is my top pick of 2017. And there we have it! Nintendo dominated the year for me. With all the franchises they have in their pocket, who knows if 2018 continues to be the Year of Nintendo. Another big question is where do Microsoft and Sony go from here? The PS4 Pro and Xbox One X have released with not much fueling them and I’m not entirely sure what’s going to get them going. Does this press them to do something drastic and risky? Are there new IPs on the horizon? One thing for sure is that the future of gaming is going to be good! Will we continue to see a trend here at SmashPad with these games? Or will others dominate the standings? Continue to tune in tomorrow as Jordan goes over his list and we give you our Best of 2017 in the days to come.